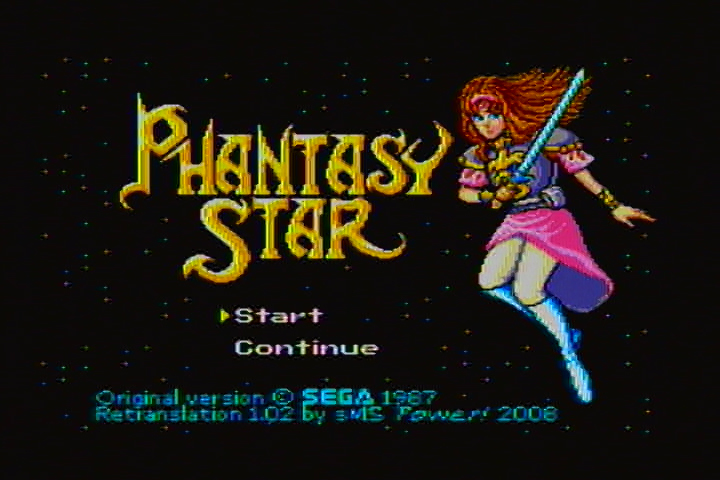 If I had a top 10 list of favorite games for the Sega Master System Phantasy Star would be #1. And despite the English version still being the amazing game that it is I know for a fact that it’s not everything that the Japanese version is. After discovering a fan translated version of Phantasy Star by SMS Power I knew right away I wanted a dedicated cartridge of this creation for my Sega Master System. What exactly is the SMS Power Phantasy Star? It’s still Phantasy Star that you know and love for the Sega Master System. The graphics and engine are identical. But many names/labels have been lengthened now that character limit restrictions have been removed and some names have been changed to their original version or renamed to something that fits better into the Algo Universe. But when it comes right down to it this SMS Power re-imaging of Phantasy Star offers two primary changes that I could not resist. 2) There is nothing wrong with the original English version of Phantasy Star. It is awesome as it is. What SMS Power have done to breath a bit of new life into the game is fill out the story and dialog. With the SMS Power re-imagining of Phantasy Star we get what I personally feel is a fuller richer telling of the story. By expanding on what we already know this SMS Power version makes the characters and NPC’s feel more alive and engaged with each other. The people over at the smspower.org forums are excellent. They knew I didn’t have a clue and they kept on helping and in the end I got my little victory 🙂 Thank you!! Above is the finished project. 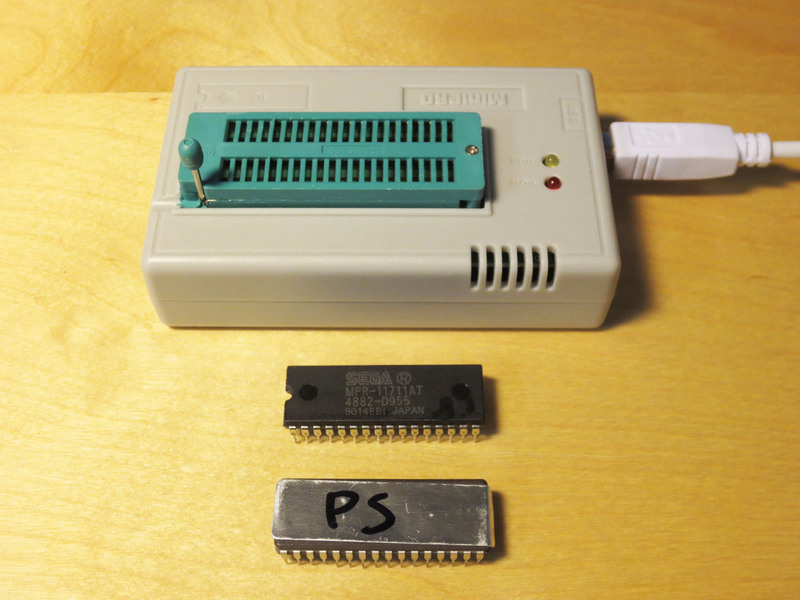 The IC (integrated Circuit) with the silver label with ‘PS’ written on it is an EPROM with the SMS Power Phantasy Star written to it. 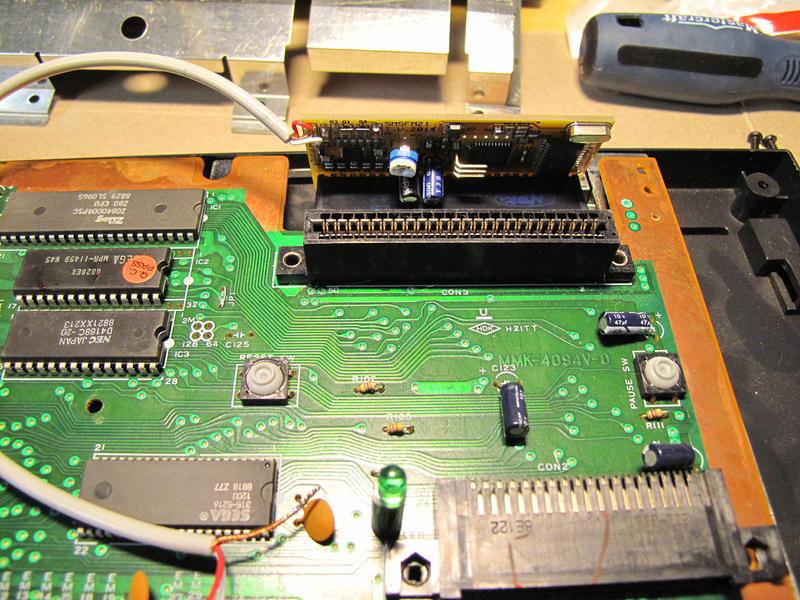 The IC just to the right is the original Phantasy Star ROM that I had to remove. I will keep it and cherish it always. Above is a close-up of my work. It doesn’t look like much but it was a long road getting here. I had to learn a lot of new tricks to get this done. 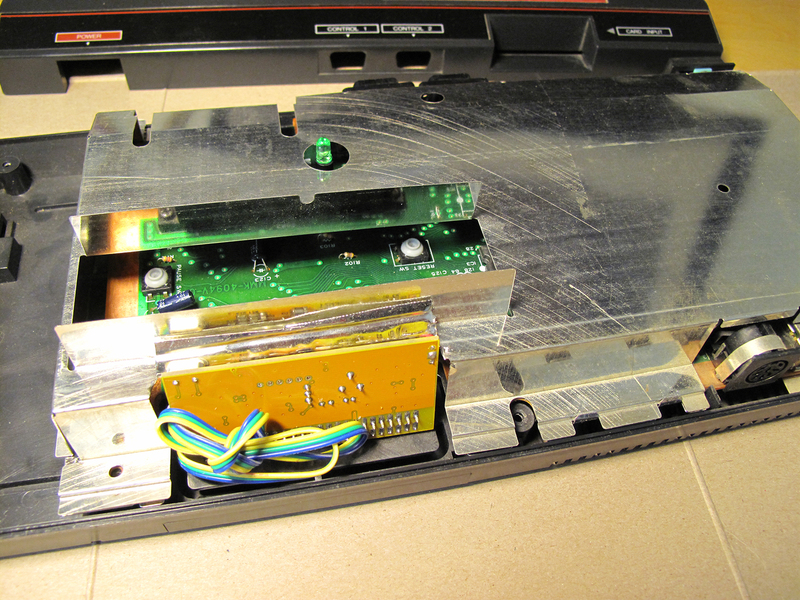 And anyone who solders I’m sure will agree that the job I did is pretty messy. I believe both my Soldering Iron and Solder were too large for the job. Next time I think I can do better. 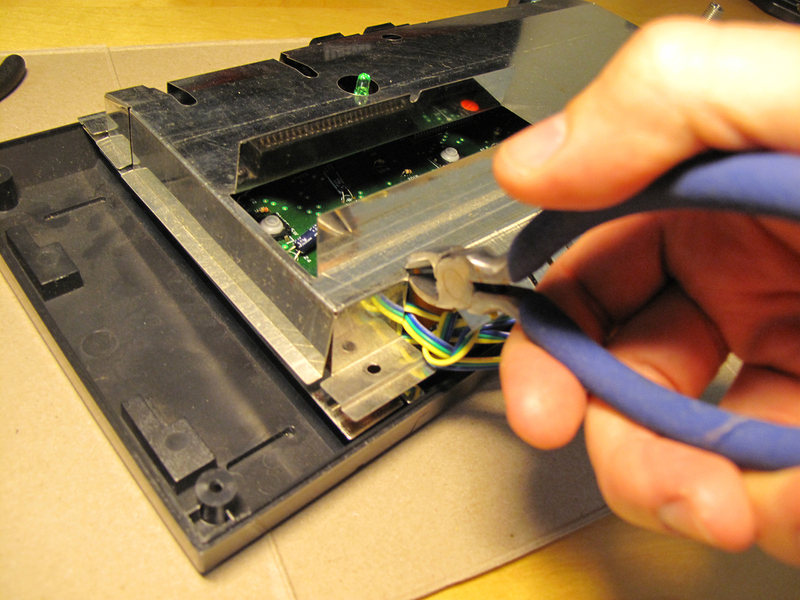 Are the EPROMs I purcahsed OK? 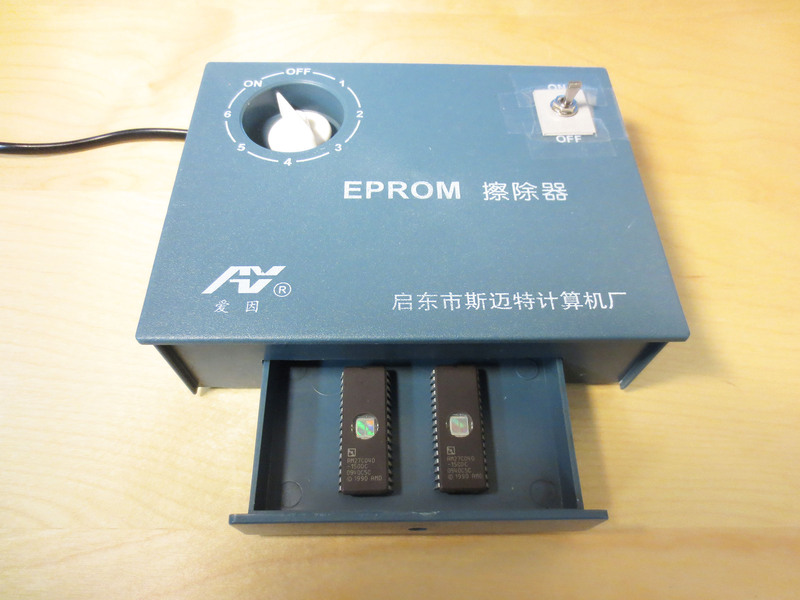 Did I erase the EPROMs correctly? Was I using the the programmer correctly? 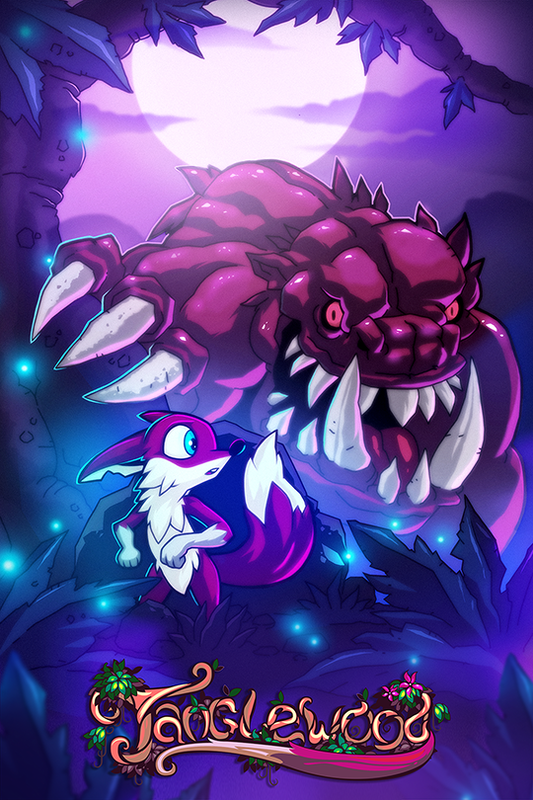 The solution I came up with was to have someone else write the software (the game) to the ERPOM for me. 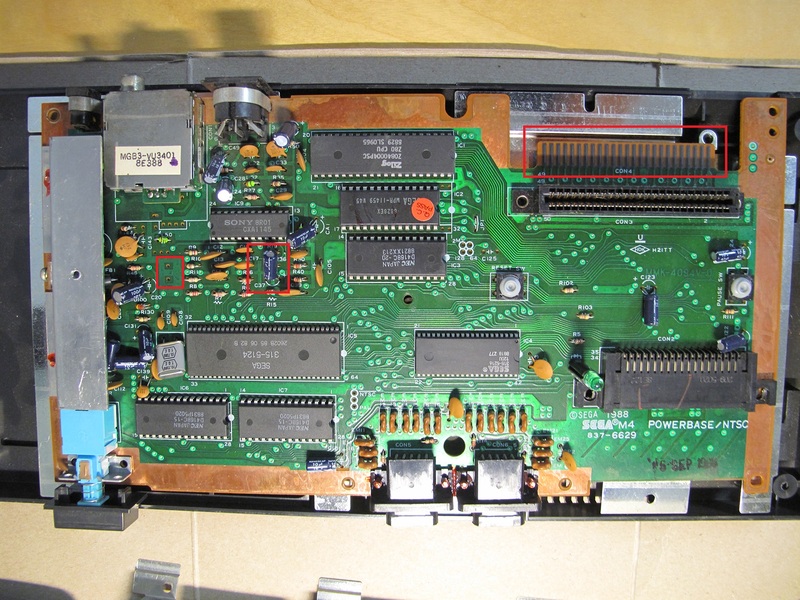 I found Fox1 over at the neo-geo.com forums who for a very small fee burned the SMS Power Phantasy Star onto an appropriate EPROM for me. 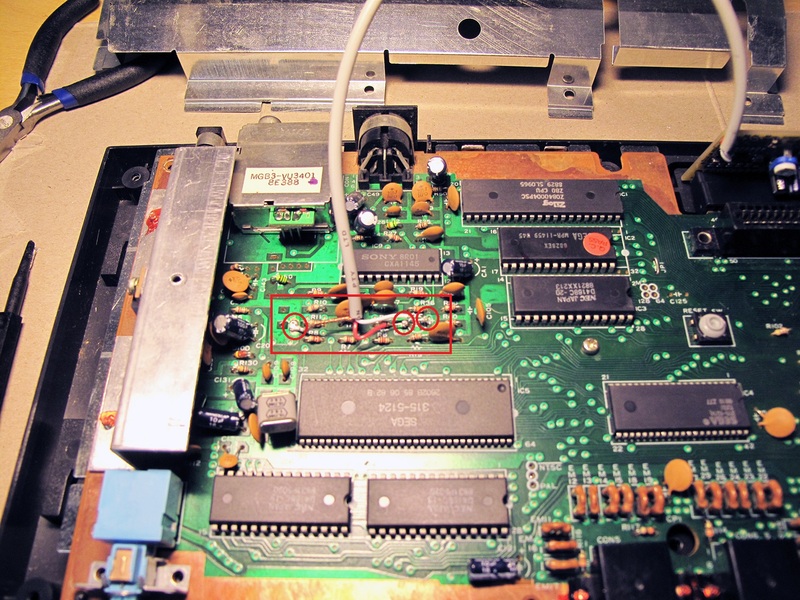 When I received the EPROM I soldered it into the Phantasy Star circuit board and it worked and played perfectly in my Sega Master System. Even though I took the long way around I am really happy to have the SMS Power Phantasy Star on a dedicated Cartridge. It’s a quality fan project that was entirely worth the effort! You can jump around the video to see some of the new dialog and hear the music and sound effects in FM. The longer I played more I started to prefer the FM music over the default PSG music. You will hear Phantasy Star in full FM sound because previously I installed the FM Sound Board into my Sega Master System. 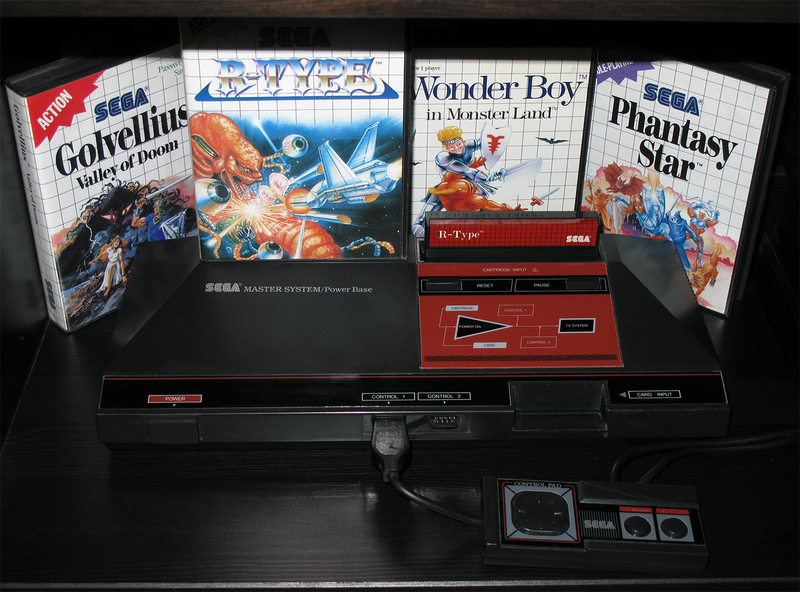 This is my Sega Master System. There are many like it, but this one is mine. …and it’s about to become unlike most. 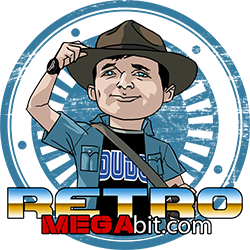 It was actually a long time ago when I first discovered etim.net.au and this excellent aftermarket product made by Tim Worthington for the Sega Master System (SMS). The FM (Frequency Modulation) Sound Unit is something that came stock with every Japanese Sega Master System but not in any other SMS model. 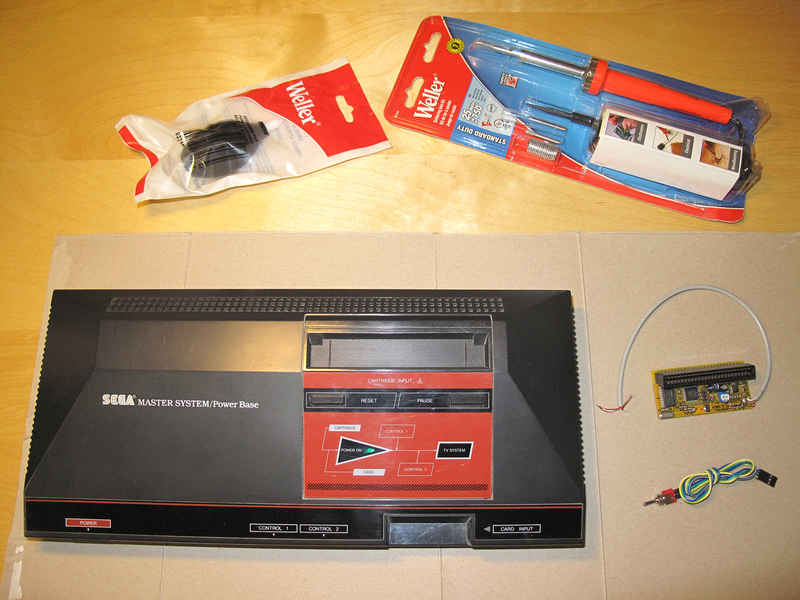 What it did was simple; it greatly enhanced the audio quality of the Sega Master System. 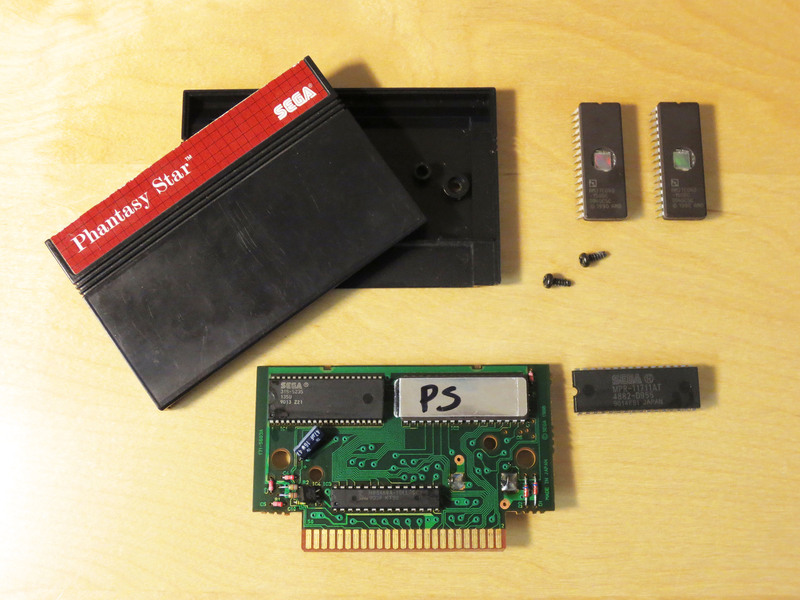 The Japanese Sega Master System included a Yamaha YM2413 FM synthesis chip along with the standard PSG sound. Many games, some of which were never even released in Japan, contain extra FM sound and music. 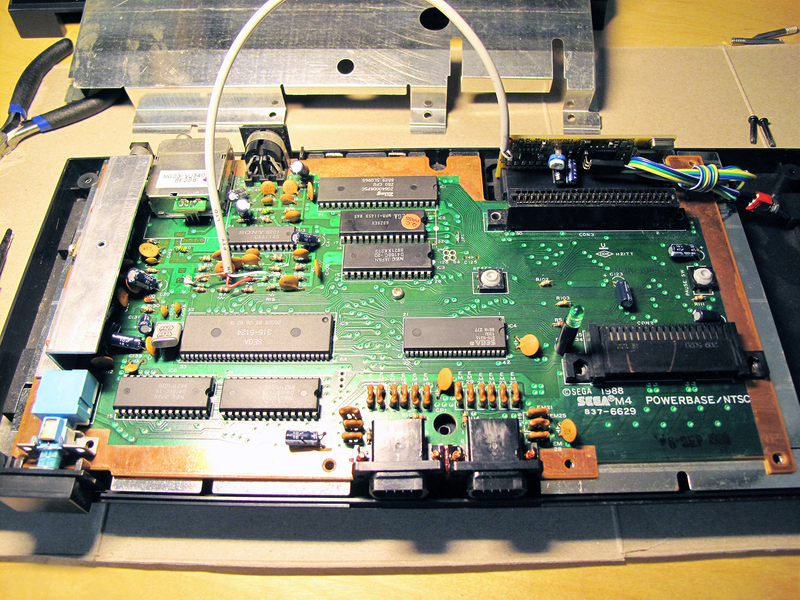 Installing this board will add FM sound capability to any Master System, Mark III, Game Gear*, or Mega Drive* game console. If you have a non-Japanese Sega Master System you’ve been listening to ‘Programmable Sound Generator’ (PSG) music and sound. The difference between PSG and FM sound is very noticeable and for several notable games I find the FM sound to be much better. You can see (in the images below) by looking at my brand new and still in the package Soldering Iron that I’m new to soldering. This is the biggest reason why it has taken me so long to get around to this mod. Fear. The easy part was purchasing this custom made FM Sound unit from etim. 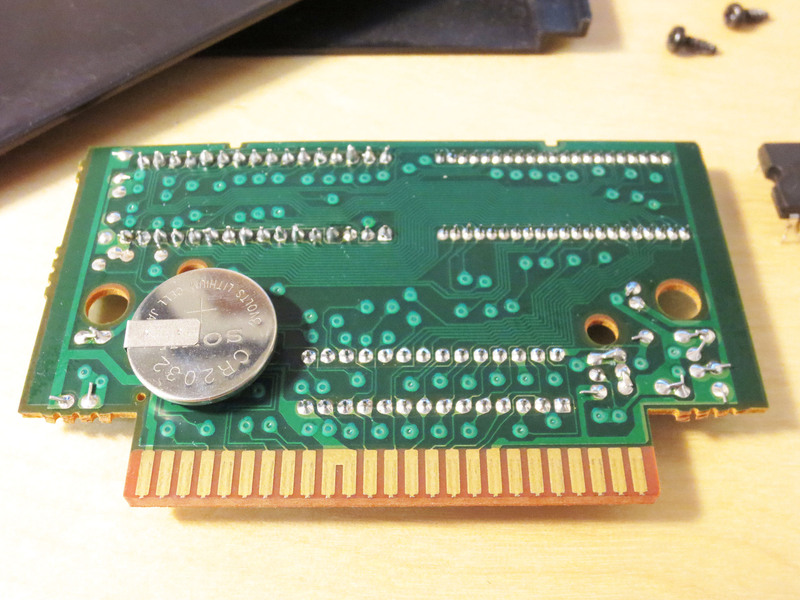 For $71 (after shipping) I acquired this small bit of hardware that would transform my NTSC Sega Master System into what it should have always been. And finally making it an equal to it’s Japanese sibling. From etim I also found instructions for installing the FM Sound Unit. My FM Unit is version 2.1 and my SMS is NSTC so I knew which instructional diagram to reference. My Sony chip actually showed a different number. But I was still confident that I was in the right area of the Mother Board. Yeah, you guessed it. I did it wrong the first time around! But as hard as soldering can be for a novice it’s also forgiving and you can undo many mistakes. My SMS before the point of no return. 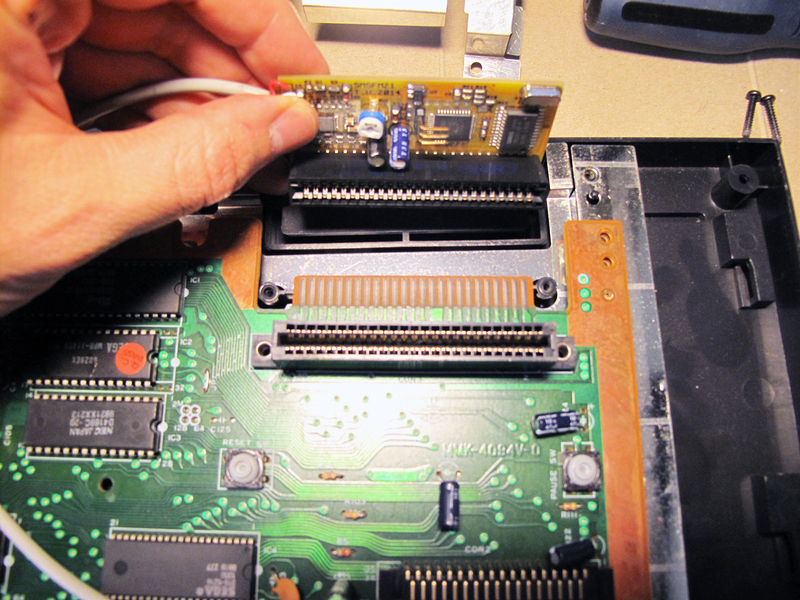 The first step was to install the FM board on the expansion port on the back of the SMS, just behind the cartridge slot. It’s stiff but popped into place very nicely. So far so good! On the count of 1,2…3! Next I had to prepare three areas on the motherboard for soldering. 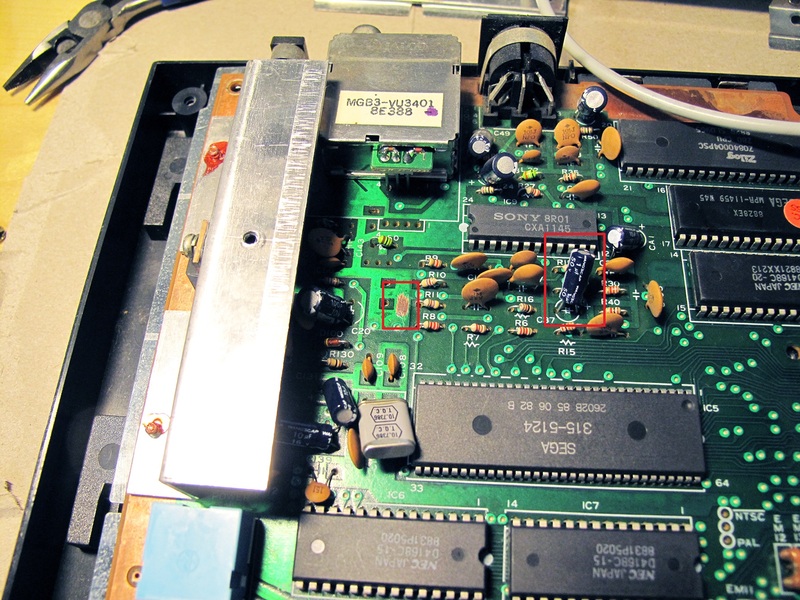 This involved scratching away some of the green coating on the PCB (Printed Circuit Board) to expose an area to solder the copper ground from the FM unit. I also had to remove a capacitor. 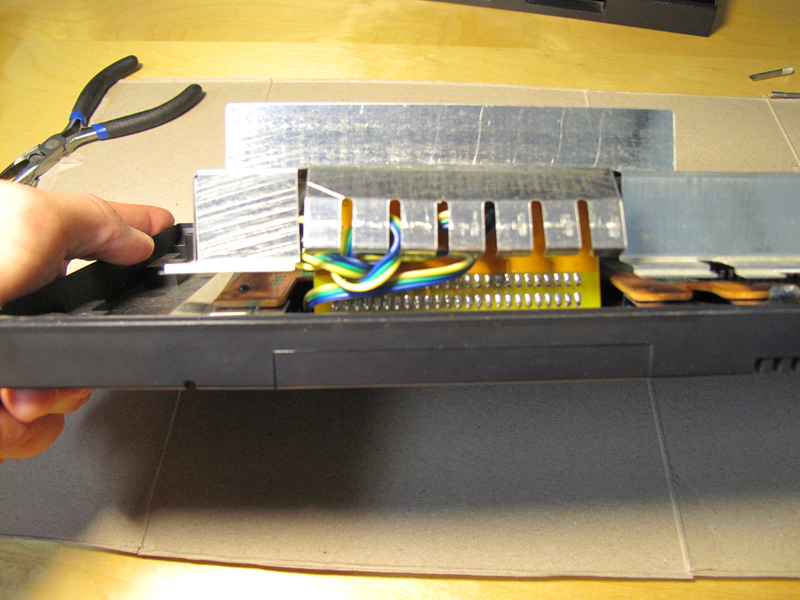 Cutting off the capacitor at C37 was really the scariest moment of this mod. It really felt like the point of no return. Without this capacitor the SMS would still work but there would be no sound. I discovered this when I had my Red and White wires reversed when testing after my first attempt. Cut off capacitor. Replaced with 2 wires. 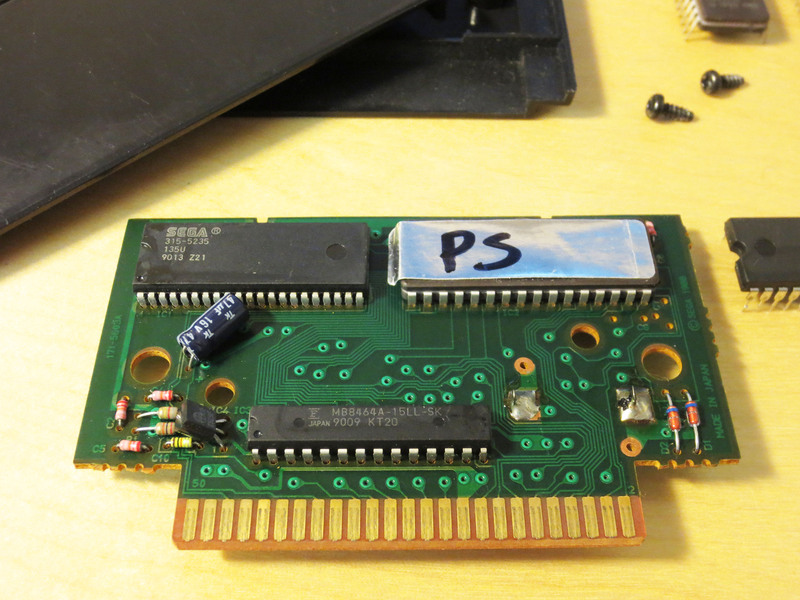 I really didn’t feel confident about cutting off the blue capacitor that you see in the image above (left). The capacitor stands on two legs and I cut it off leaving both legs behind. 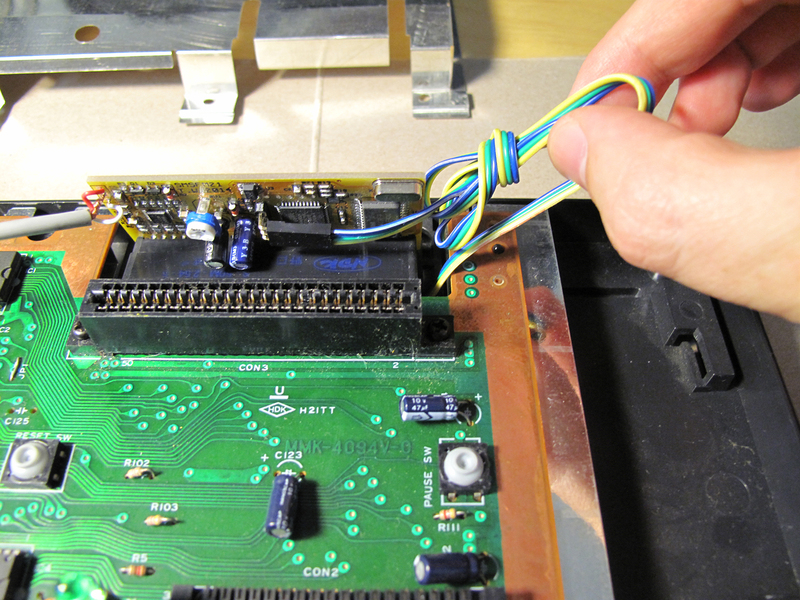 I though doing this would make it easier to solder the two FM wires to remaining legs. After reading a bit more about soldering I think I should have removed the legs and soldered my wires directly into the wholes that would have been left behind had I completely removed the legs. I might revisit this someday. My newly install FM Sound Unit. The mod comes with a 3-way switch which easily connects to the FM unit. This switch allows you to toggle the FM unit into 3 modes. Original PSG sound, FM Sound and Japanese FM Sound. Some Master System games (such as Monster World III: The Dragon’s Trap) would only play the games FM sound on Japanese region systems. This switch allows for all options to ensure you’ll get to hear the magic of FM sound for any game that has it. Note: My NTSC Monster World III did not play FM sound. 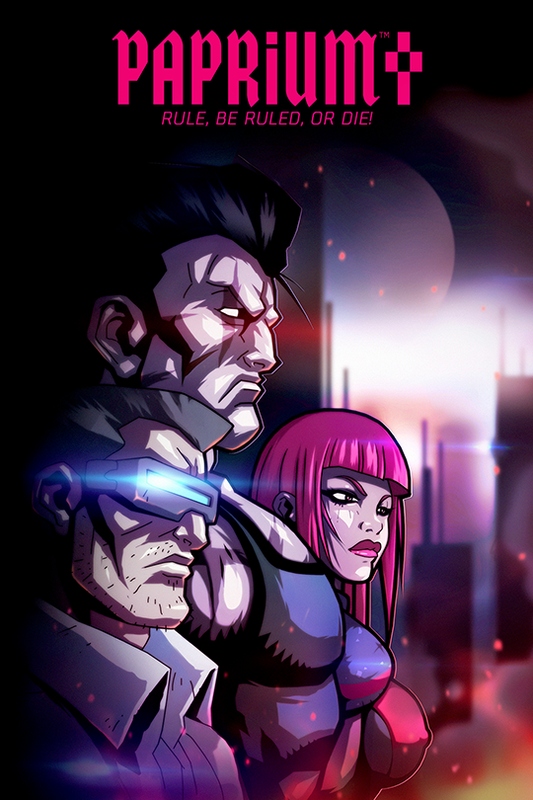 Some versions of games had their FM sound code removed. I’m going to guess that Monster World III would play FM sound if I used the Japanese cart (with an adapter to make it fit my NTFS SMS). I don’t have an adapter to test this theory. 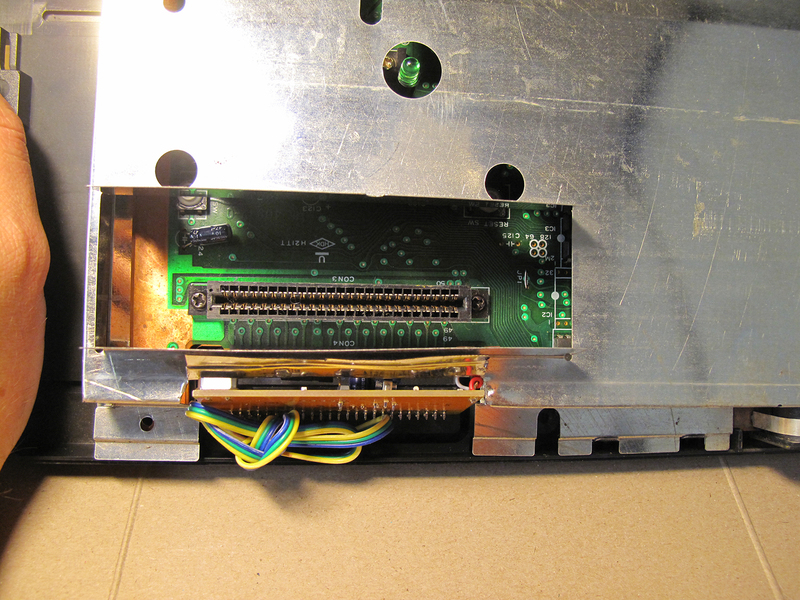 I was concerned about the wire for the 3-way switch getting in the way of a cartridge so I wanted to get it completely out of the way. 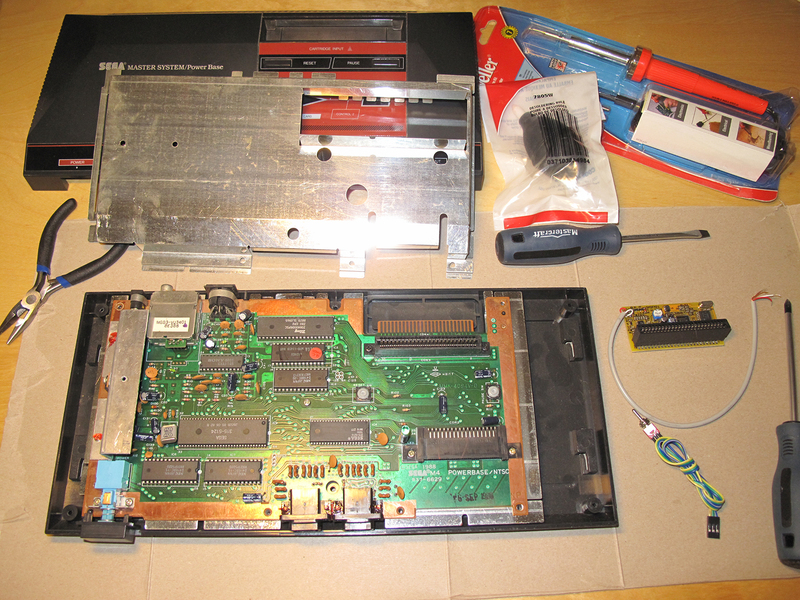 I wrapped up some of the extra length and left enough to snake the switch down past the mother board and through a hole in the plastic of the case that leads to a small compartment on the bottom side of the Sega Master System. 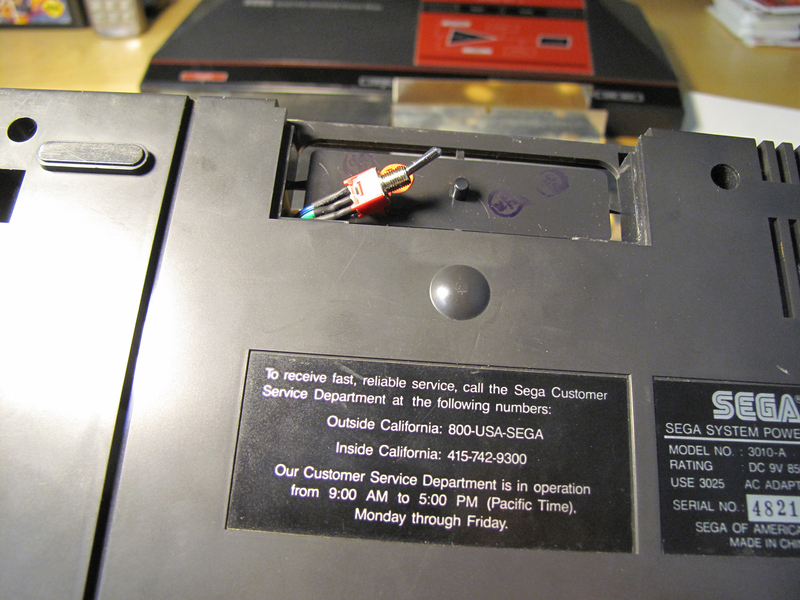 This compartment has a removable cover and it was there to support some add-on that Sega never ended up using. For me this was the perfect place to put the switch. It’s hidden but still accessible without having to take the whole case off the SMS. And I didn’t have to further modify my SMS by cutting holes into it. The idea was that once I got the cover back on the SMS would look pure and unmodified. I’m not opposed to drilling a clean hole to mount the switch but for now I’m happy with this solution. Snaked the wire under the Board and through the plastic casing. The original cover will still easy fit into place; completely hiding the switch. Now it’s time to re-assemble! First put the shield back on… It won’t fit anymore. OK, so my SMS has to endure some more permanent modifications. I cut off all of those metal flaps you see below (left) and folded up the remaining piece so that it was out of the way. The wire cutters you see pictured didn’t work out. I had to switch to full blown tin snips to get the job done. Now the shield fits! And everything is looking pretty clean and tidy. And what do I get for all of this effort? 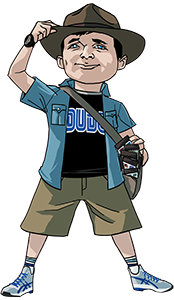 The two video clips below I made from recording the games Miracle Warriors and Golvellius. For each I let the recording run for a full cycle of each selected tune; stopping the recording before the song looped and started again. I then edited the recordings so that the same tune in FM sound would play right after the PSG version. Making it easy to hear the difference. For Miracle Warriors I chose to compare the PSG and FM version of: the Title Screen, the Travel/Map Screen, the Castle and Combat/Encounter tunes. I did pretty much the same thing for Golvellius. Comparing the Title Screen, the Story Intro, Old Lady, Dungeon and Above Ground tunes. I haven’t yet heard the FM versions of all the games that support FM sound but I’ve heard many and to me Miracle Warriors is one that really stands out. I love the FM version for this game. And while there is also a distinct difference when listening to Golvellius I found that both the PSG and FM sound were good. I can’t say for certain that I like the FM more than the PSG in this particular example. So as much as I am enjoying the FM sounds the default PSG is also pretty good. In the video below you can sample FM sound from several different games that support the feature. I’ve noticed that the good SMS games really benefit from the extra polish of the FM sound track. Giving an extra incentive to revisit some old favorites. But for weaker games (like Rampage, Altered Beast and Afterburner) the FM sound isn’t enough to make them more appealing. 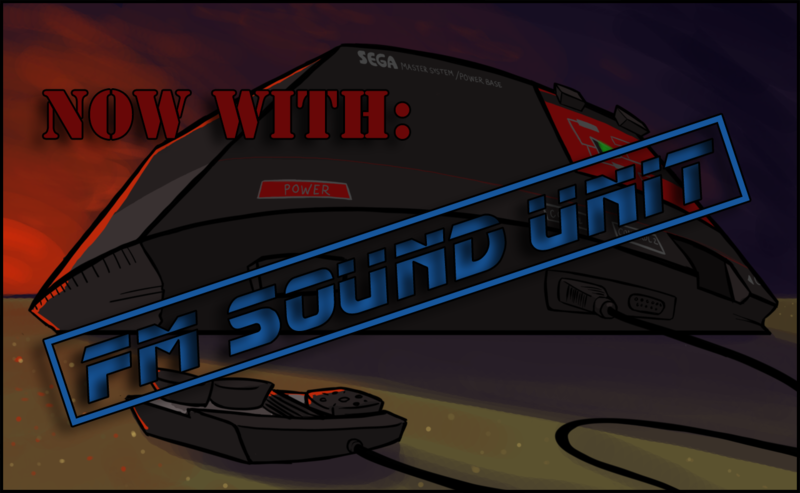 I love the change the FM Sound Unit has brought to my Sega Master System. 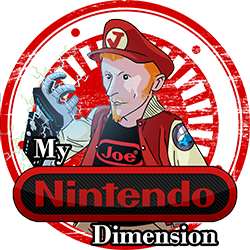 The games that I think get the most out of FM Sound are Miracle Warriors, Fantasy Zone 2 and Double Dragon. Note: I actually really like Phantasy Star with FM sound but the English version does not support FM so I’m not able to try it out first hand. There is a translated version with the FM code but it would take some work to get it on a cartridge. What do you think? Is FM Sound superior, better, different but equal or worse than PSG? I have to say after making just three solder joints and having this thing work as expected I felt like a GOD!! Sure, I didn’t design or make the board and I don’t have a clue as to how it works but I applied heat. And that has to count for something.